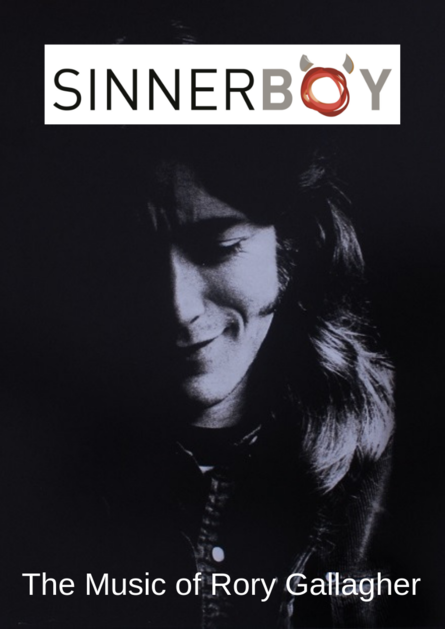 Top international tribute band, Sinnerboy return to Armagh to play the epic music of the late, great Rory Gallagher. Rory Gallagher, who sadly passed away in 1995, was born in Ballyshannon and reared in Cork. He had a huge impact on the world of blues and rock and was Ireland&apos;s first real |”rock star” – blazing the trail for many major Irish acts to follow on the international stage. Apart from being recognised as one of the greatest ever exponents of the electric guitar, Rory Gallagher left behind an enduring musical legacy which has received fresh recognition over recent years. He was a prolific composer and in his lifetime recorded no fewer than fifteen albums of highly original and soulful blues and rock material.